WD Class 8F 2‑8‑0 No. 90315, late of 36C Frodingham, awaits the cutter’s torch at Garnham, Harris & Elton’s yard in Chesterfield in 1966. Between 1957 and 1965 No. 90315 worked from Motive Power Depots on the Western, London Midland and Eastern Regions. 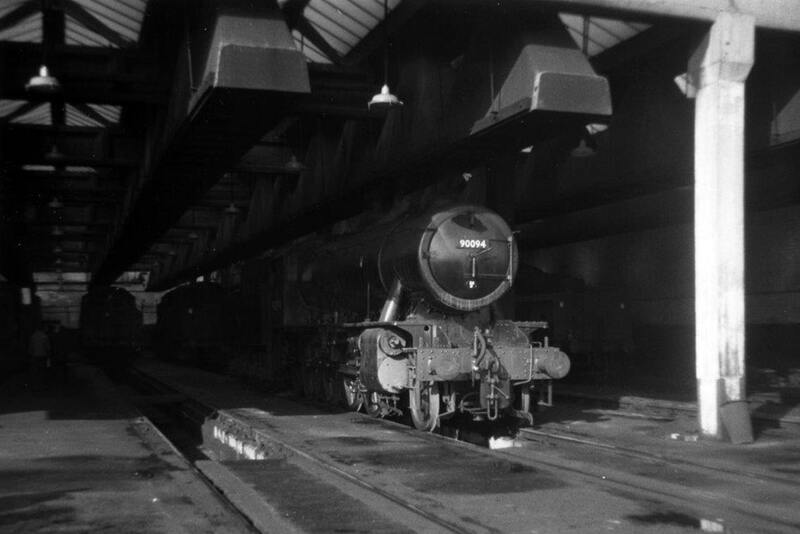 Sunlight and shadow at 50D Goole on 10th April 1965. Nearest the camera is ex. Works WD Class 2‑8‑0 No. 90094. Hidden inside the depths of the running shed are LMS Class 4 2‑6‑0’s Nos. 43098 and 43125. All three were allocated to 50D on this date. The WD survived in service at Goole until June 1967. Note: There are no known additional amendments or queries appertaining to the storage and disposals of the WD 2‑8‑0 and 2‑10‑0 Classes of locomotives, but any information to the contrary will be welcomed along with any confirmations or otherwise of the verifications required. Author’s Note: Discrepancies between the monthly withdrawal dates as published in the 1982 edition of WHTS Volume Twenty Six and the updated versions online are negligible. 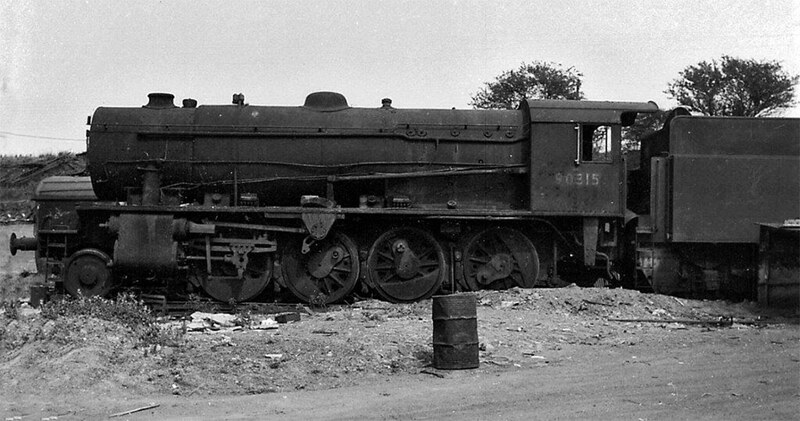 Note: Draper’s, Hull: Up until the week beginning 20.11.67 locomotives were cut up in Sculcoates yard. After this date cutting was carried out in new premises at Neptune Street. All cut up dates recorded are the week beginning.